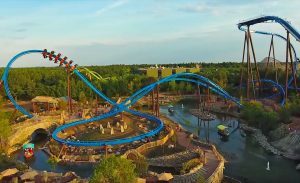 July 7, 2018 – Attractiepark Toverland opened Fēnix, their new €17 million B&M (Bolliger & Mabillard) wing coaster and the park’s largest single attraction investment. Standing 131 feet (40m) tall, with a top speed of 59 mph (95 km/h), Fēnix features three inversions: a dive drop, an Immelmann and a zero-g roll, as well as plenty of near misses. Located in Avalon, a brand new area of the park that has a medieval and mythical theme, Fēnix travels over and around a former fishing pond. Opening at the same time in Avalon is Merlin’s Quest, a Mack Rides boat ride that features a dark ride indoor section. As the name would suggest, the attraction is themed around the mythology surrounding Merlin the Magician and the search for the source of eternal life. Starting in 2001 as a small indoor amusement park, Toverland has grown over the last decade into the third largest theme park in the country. The park expanded from 50 acres (20ha) to over 185 acres (75ha) with the addition of Magische Vallei in 2012, Avalon and Port Laguna, the new Mediterranean themed entrance area of the park. See what our members are saying about this thrilling new addition in our Forum discussion. 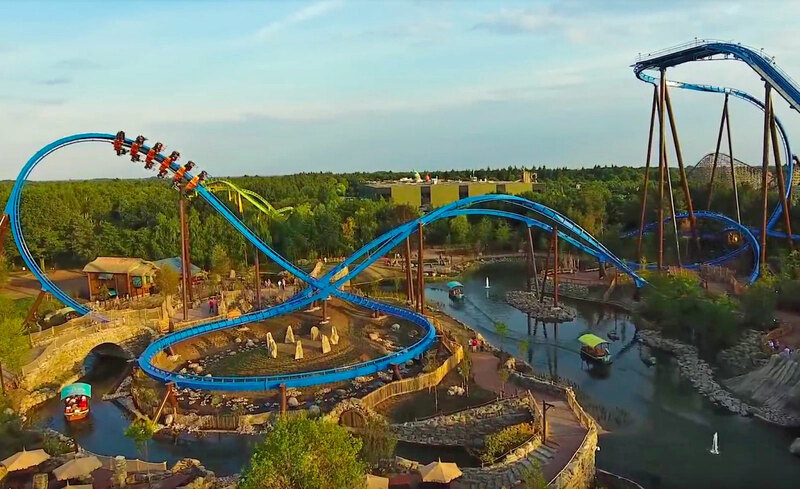 This entry was posted in News and tagged fenix, Holland, Netherlands, Phoenix, toverland. Bookmark the permalink.